After eleven incredible days of traveling, I returned home to spring in full bloom! 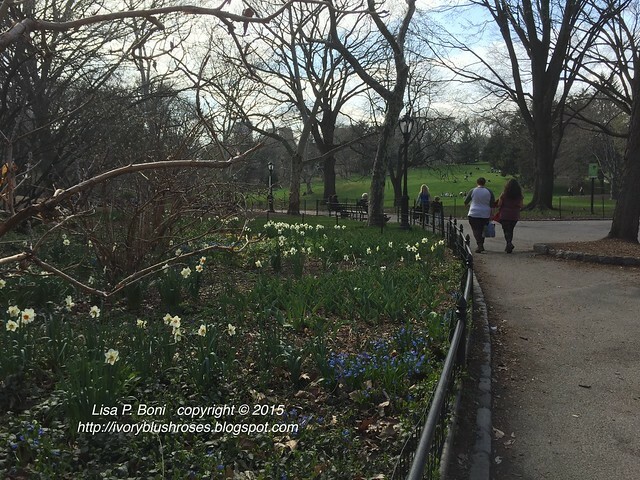 The tulips and daffodils were at their peak! So glorious! 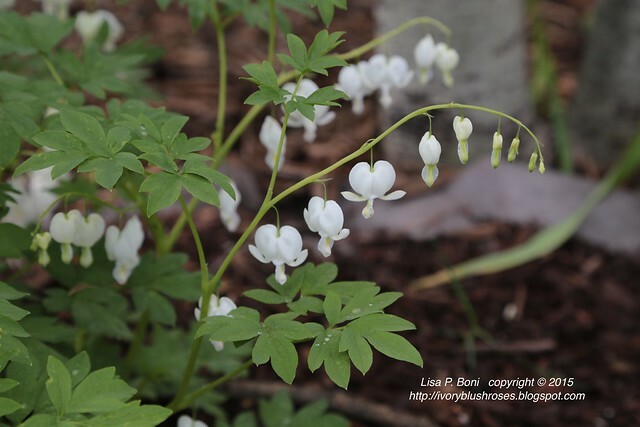 The white Bleeding Hearts under the aspen trees appear to be exceedingly happy in their new home! 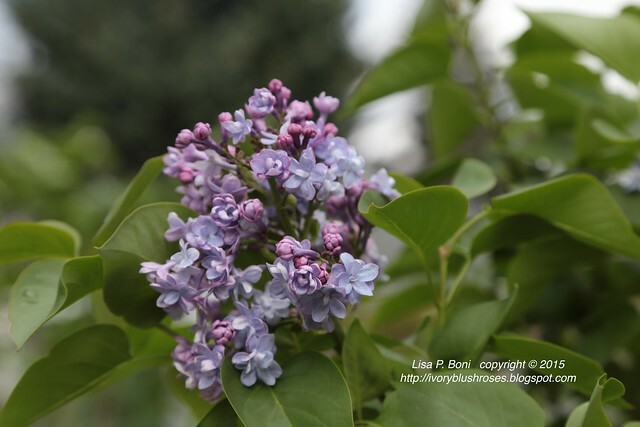 One of the lilac bushes is blooming and so wonderfully fragrant! I wasn't expecting any blossoms for a year or two yet, so this is a delightful surprise! 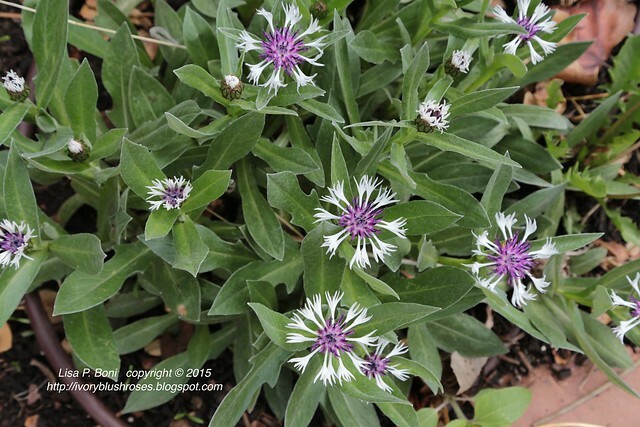 The Centaurea Montana is in full beautiful bloom in the side garden! Just lovely! 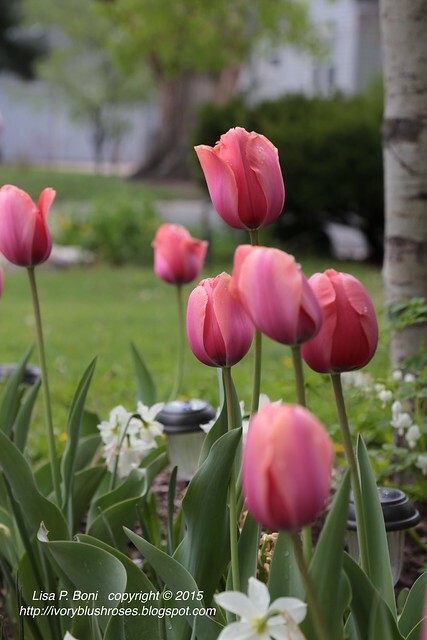 I just can't get enough of the tulips! Waiting for me when I got home, was the Summer issue of Crazy Quilt Quarterly, which features three articles by me! 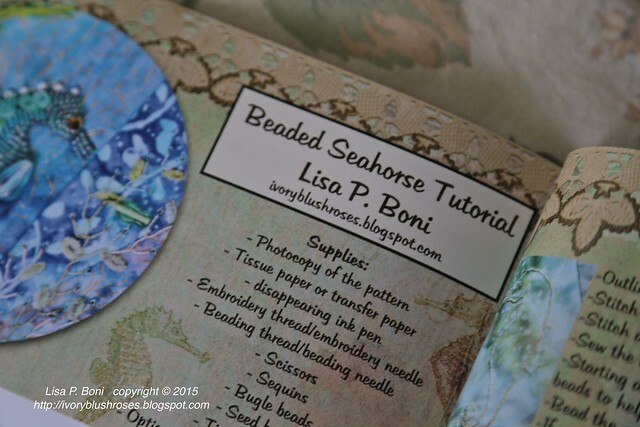 One is a tutorial for my beaded Seahorse. 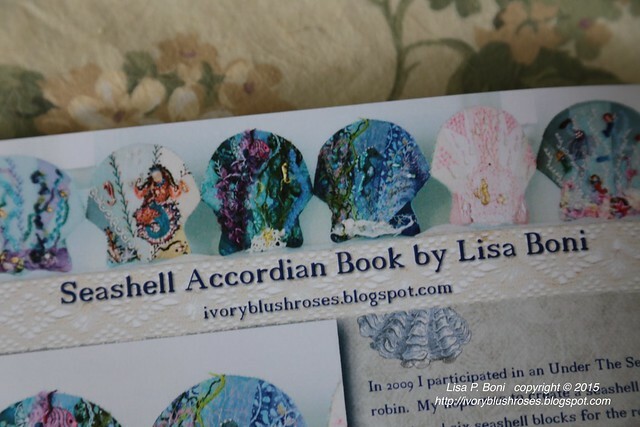 The second features my Seashell Accordion Book, which I created out of round robin blocks. 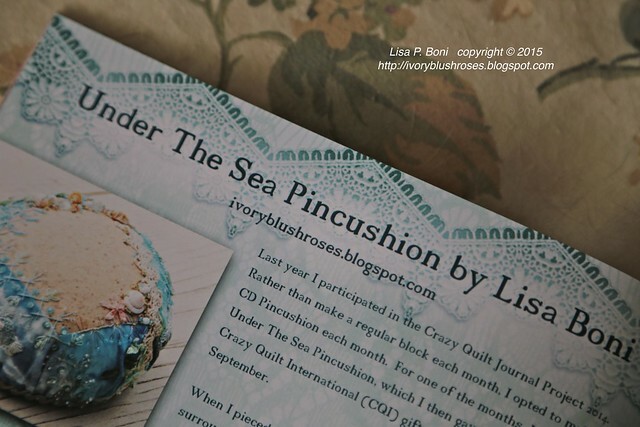 The third article is about the Under the Sea Pincushion that I created for the CQJP 2014 and used as my gift for the CQI Retreat gift exchange. My trip was truly amazing. Eleven days, each packed to the gills with so many activities, friends and family to spend time with and incredible experiences. I had not travelled to New York City since I was a teenager about 40 years ago. 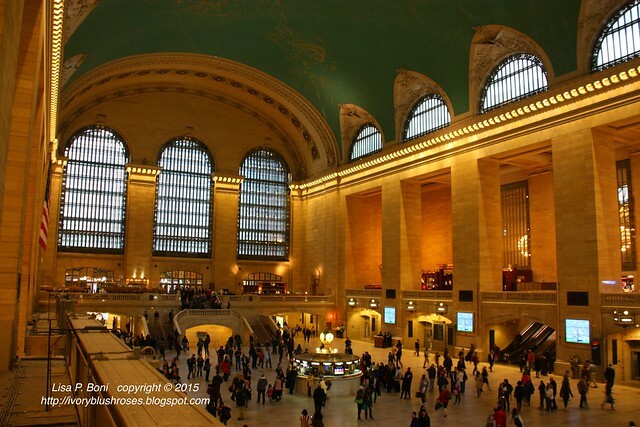 How fun to see places like Grand Central Station that I'd only seen in photographs before! My dear friend Heidi met me at Penn Station first thing in the morning and guided me through the maze of subway and train stations and showed me the ropes of getting around New York City! After getting oriented to the subway system, I was off exploring! 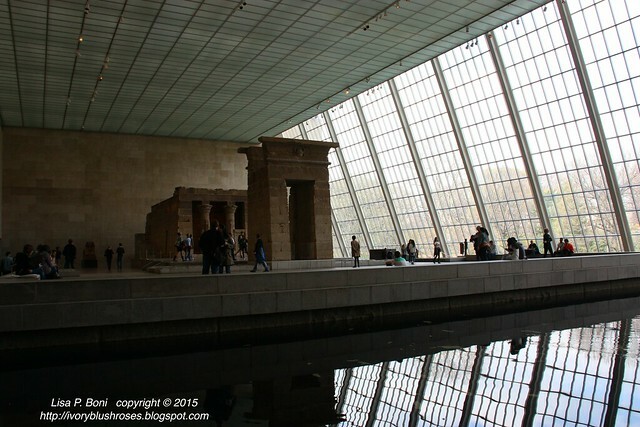 I spent my first day in New York City at the Metropolitan Museum of Art. 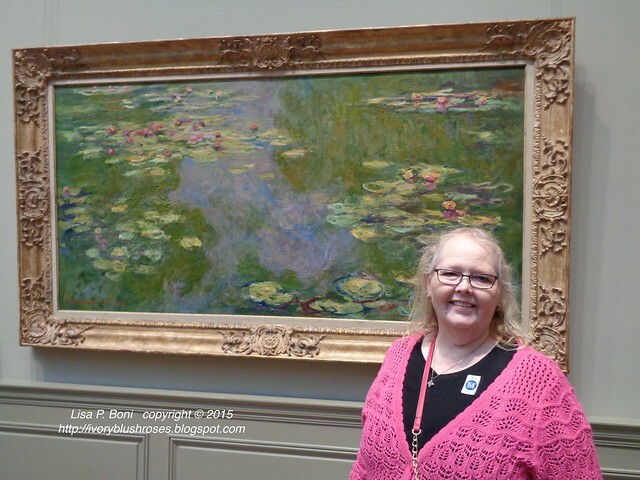 I've been to many art museums in other cities, but was truly astounded and a bit overwhelmed by the vast quantity of amazing art here. Such an inspiring day! When my family had visited here so many years earlier, we had come to see the Egyptian art specifically as I had a huge interest in ancient Egyptian hieroglyphs in those days. Somehow, we never made it to this part of the museum. It's really an amazing space and was such a treat to see! After five hours of art, my heart was full to overflowing and so utterly saturated that I went and sat in Central Park for a while. Spring was just coming out, with the flowers blooming, the trees beginning to leaf out and the grass turning the most brilliant shade of emerald green. I sat on a bench here and sketched for a while before rejoining my friend Heidi at the end of the day. 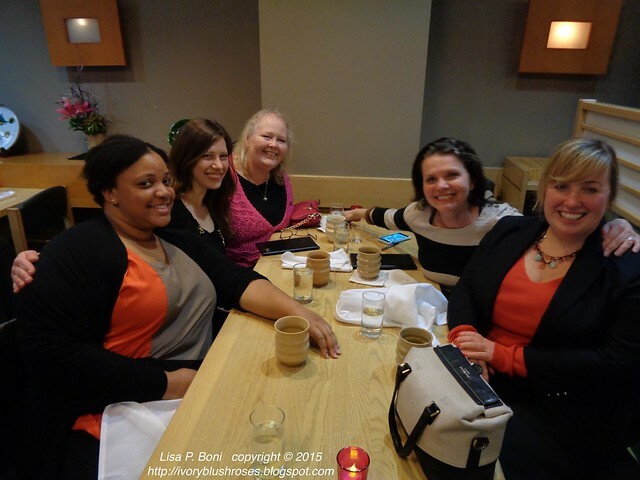 We finished the day with a lovely sushi dinner accompanied by my second cousin Natalie and two of Heidi's co-workers! Lots of laughs and good food! I'll be sharing more about my trip over the next few days! Your trip sounds wonderful. Art museums do have a way of being overwhelming with all that we see in them. You can hardly take it all in, but in it goes and it does seep into areas of our lives. 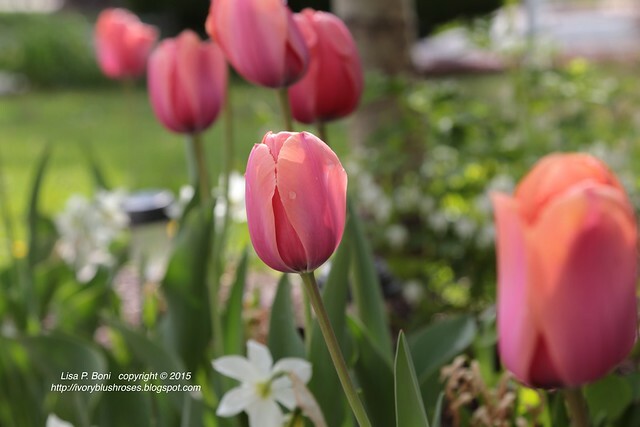 Your garden blooms are so pretty, what a joy for you to see and enjoy when you arrived home. Congrats on your published works. Ah, NYC. Such a treat for the creative soul. So happy for you. Hi Lisa ,found you through Allie Aller. I love crazy quilting and your squares are amazing. Can CGQuarterly be bought in the book stores or just on line?